The importance of data in healthcare continues to grow. Data is required and creates deep value for evidence-based practice, ensuring the right treatments are provided to patients and for identifying knowledge gaps, creating information awareness and determining where critical HCP focused education is needed. HCPs continue to gain most of their continuing medical education physically at annual conferences and local CE events while use of enduring online education remains majorly leveraged by younger professionals who are more comfortable in digital learning formats. Conference and Event Organizers, including those responsible for educational sessions, programs and posters have considered and/or implemented audience response solutions (ARS) as a mechanism and opportunity to increase engagement. 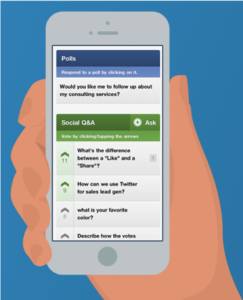 Most early efforts with ARS were targeted at keeping the audience interested by asking various simple questions or seeking to capture the audience vote. As efforts and understanding have matured, some organizations have recognized deeper value of audience response, particularly in the healthcare environment. Healthcare continues to be highly dynamic with new treatments, new diagnostic tools and techniques and an ever-growing list of new devices. It is challenging for HCPs to keep up with the possibilities let alone remain informed on a few that seem directly applicable to their practice and the prevalence of disease state across their local patient population. Organizations can leverage case based and structured audience response in and across their physically delivered and online sessions/enduring materials to gain deep understanding of educational trends, distinct knowledge gaps, expanse of practical knowledge, determine actual results to desired educational objectives, outcomes and ranking criteria and where specific efforts can be applied to reach segmented groups of specialists, generalists and others responsible for patient care. HCPs participating in the educational activities leveraging structured audience response retain more of what is being shared and presented to them. Traditional lecture style presentations only result in 10 %to 15% knowledge retention on average. Most of the retention occurs during the first part of the activity (first 10-15 minutes). Attention span for the human species wanes after a brief period of time and energy must be expended to retain focus. While the battle to maintain attention is underway, other thoughts creep into a mind (calls that must be made, hunger that must be satisfied, etc.) and important details of the content are lost. The audience stops “hearing” the speaker and is no longer processing and correlating the content to their own experiences and needs. Despite what many believe, humans cannot multi-task and achieve deep comprehension or retention. 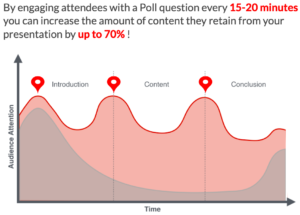 By engaging attendees with active response questions every 15-20 minutes, a speaker/presenter can increase the amount of content the audience retains from a presentation by up to 70%. 100% retention is an unrealistic goal for any professional type but 70% is much improved over 15%. In brief, each cycle of audience response re-engages the attendee’s mind, counters thoughts about other items and brings their focus back to the content. The result is “retention” of the content and potential deeper solidification of memory that can be applied at a later point during a patient encounter. The key is ensuring the questions relate and can be immediately applied to the content being presented/shared. Case based audience response for HCPs is more effective in engaging an active thought process across the audience where immediate correlation occurs to what knowledge existed prior to the educational activity and how what existed before may need to change or be modified based on what has been retained. The result: active additive learning. As an aside, ARS can also assist and deepen the data/information that results from pre and post-test activities. That is a subject that will be covered in a future article. Leveraging response and demographical data of respondents can uncover invaluable data that’s not easy to attain and bring forward specific and detailed understanding of HCP knowledge, awareness and correspond to disease states, treatment prevalence and correlate to localized patient population trends and needs. If you are a researcher, is there anything you would do differently in your research work as a result of attending this session? If you are a practicing clinician, is there anything you would do differently for patient care as a result of attending this session? Each is targeted to gage the intent to change current practice and leverage the retained knowledge in patient care. ARS can also be a valuable mechanism for gaging real change post educational activity at a select point in the future. 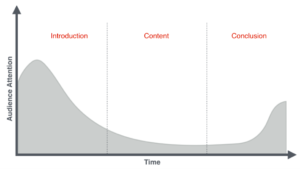 As familiarity with the response format and model was gained during the educational activity, the HCP is more likely to actively re-engage and communicate if and how the content is being leveraged. Enabling ARS and offered features, including capturing questions from the audience can lead to deeper understanding of what specific segmented audience types need, may be thinking, experience in their practice and limitations of their experience and knowledge. The result enables customization of current materials and available education, creates a framework for future development and ensures the HCPs, presenters/educators and the host organization are using the same language, descriptions and detail. Collection, management and output of outcome-oriented performance/response data that brings forward efficiencies with creating reports for internal use, external availability and/or matching grant execution requirements. Filtering across similar content correlated to overall and segmented groups of HCP respondents and gaging content/education effectiveness match to the intent to adequately cover a disease state intimately. The list of benefits to HCP participants, the host organization who is offering the education activity and the industries and partners that surround the topic and focus is long and only a high-level list was provided during this article. The most important benefit resulting from the implementation of case based structured audience response and evaluations is of course the retention of the content and the creation of knowledge which most importantly benefits patients and aids in overall improved patient outcomes by increasing the effectiveness of patient care. 2040 Digital is here to help you. Contact us to learn how we can apply our expertise and collaborate with you in achieving your goals and objectives.